With a double pushchair not always being practical, my love of babywearing has grown and I often take a single pushchair and alternate between Archie in a sling and Dylan walking. As Dylan can go further and further on foot, we occasionally venture out hands free and it feels quite liberating to not have a pushchair with me. It does mean I have nowhere to hang the bags though and finding a bag that is compatible with babywearing is not always easy. I have recently been sent the JJ Cole Mode bag to review and it is the perfect answer. 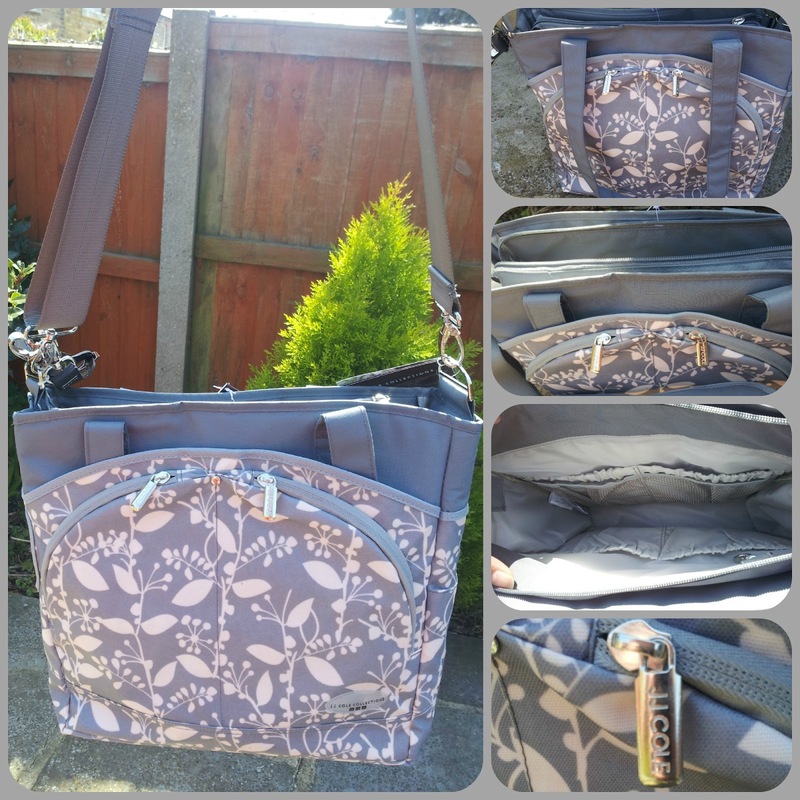 It comes with 3 options, a long cross body strap, two clips to attach onto the pushchair (an option I love for single handle buggies as the bag doesn't slide down), and two long shoulder straps, that are significantly longer than other handbags I have used. These longer straps are perfect for babywearing as you don't end up with the bag uncomfortably tight under your shoulder. The bag has plenty of compartments for all your needs (12 in fact), and a changing mat and is made of a very handy wipe-clean canvas material. As well as being incredibly practical, it also looks fantastic and comes in a gorgeous grey woodland design. I highly recommend this changing bag as it looks and feels high quality and has enough pockets to stay organised even with two little ones in nappies! The bag retails at £45 and you can buy it here. Disclaimer: I was provided with this bag for the purpose of a review but all thoughts and opinions are completely my own.